Traveling down the Pan-American Highway from Ecuador's capital city Quito, no less than five snow-capped, glacial volcanoes can be seen on a clear day. Here, along this "Avenue of the Volcanoes," snow melt and rainfall begin one of the planet's most dramatic descents. Water tumbles down some 7,000 feet from the arid Andean highlands to the Amazon, nourishing rich soils and alluvial fans of lush volcanic valleys, flowing through cloud forests teaming with orchids and hummingbirds, and carving the canyons of the Pastaza River, a main tributary of the mighty Amazon River, along the way. My colleagues from Amazon Watch and I followed this breathtaking transition in topography from Andes to Amazon last month, en route to Unión Base, the headquarters of CONFENIAE, the regional confederation of Amazonian indigenous peoples of Ecuador's Amazon. We were invited to join these leaders along with representatives of indigenous nations and organizations from Peru for four days of visioning and strategic planning on a new initiative to permanently protect their ancestral territories from extractive industries and implement their "life plans" for their peoples. 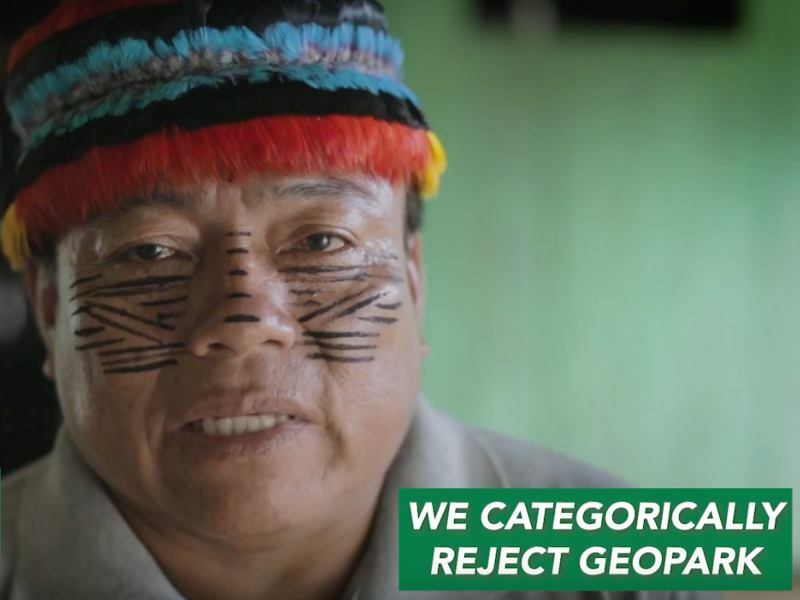 In these remote, roadless rainforest territories along the border between Ecuador and Peru, over a dozen indigenous nationalities have launched an initiative to permanently protect about 60 million acres from industrial extraction and stop the drivers of deforestation throughout the Napo-Marañón River basin. This new initiative, dubbed the Amazon Sacred Headwaters, seeks to create a mosaic of indigenous-titled territories based on their traditional knowledge of geographic ecological boundaries like rivers, mountains, flora, and watersheds that were historically used to delineate and manage their territories. The initiative will present a united front against the pressures on these indigenous territories and address climate change by keeping forests standing and fossil fuels in the ground. For millennia, indigenous peoples in the Western Amazon have been protecting, defending, and managing their rainforest territories in the face of unrelenting pressure – from rubber tappers, gold miners, missionaries, loggers, oil companies, and new threats like bioprospectors, agribusiness, and even conservation schemes that violate their rights. It is why the region remains one of the most biodiverse places on the planet, holding the highest concentration of mammals, birds, and amphibians in the Amazon. But over the years their once vast, ancestral territories have been divided by political borders, extractive industry concessions, pipeline corridors, and other ambitious mega-projects as encroaching "development" pushes closer and closer. Indigenous elders in Ecuador still tell stories of relatives who went downstream to Peru to hunt and fish, only to be unable to return home after Peru annexed more than half of Ecuador's Amazon in a border war in 1942. The indigenous nationalities of the Amazon Sacred Headwaters have had the unfortunate geologic curse of sitting atop major oil reserves, a result of deposited organic matter and micro-organisms from when the Amazon River flowed from east to west during the Pre-Cretaceous period – before the uplifting that created the Andes mountain range that reversed the course of the Amazon. If successful, the initiative would keep almost six billion barrels of heavy Amazon crude in the ground. It has long been a vision of the indigenous nationalities in this region to unite with their relatives across borders and recover the ancestral management of their territories. But this vision has taken on particular urgency as the threats to their lives, land, and cultures are on the rise. According to Rafael Pandam, a Shuar leader and current President of the Amazonian Parliament of Indigenous Peoples, "The Sacred Headwaters is an initiative that protects life, strengthens and consolidates our unity and diversity, guarantees the full exercise of our collective rights, our autonomy, our self determination, our governance, and the territorial security of our peoples based on principles of justice. Its fundamental mission is to reduce the threat of climate change and global warming of the planet, by defense, protection, conservation, and sustainable management of the richness and abundance of our Mother Earth, so that together we can truly achieve Sumak Kawsay (Living Well)." Unión Base is a fitting place for a meeting of big ideas and bold vision. The historic, 300-mile march in 1992 that resulted in the titling of millions of acres of indigenous Amazonian territories in Ecuador began here, and it plays an important symbolic role as the cradle of Ecuador's Amazonian indigenous movement. Today, bigger than life-sized profiles of indigenous peoples are carved into the exterior of Unión Base, which, with internet, offices, meeting rooms, and a dormitory, is now a bustling, functional headquarters of a united indigenous movement seeking to guarantee and advance their rights and autonomy. Part of CONFENIAE's new-found capacity is a result of the Sacred Headwaters Initiative to date. Launched two years ago by CONFENIAE and its Peruvian indigenous counterpart organization AIDESEP, early priorities of the initiative have included strengthening organizational capacity, bi-national summit meetings to exchange experiences and strategies among indigenous relatives, supporting grassroots efforts to stop the expansion of the fossil fuel frontier, and a major study of biodiversity hotspots. Our meeting concluded with the establishment of a governing council comprised of indigenous nationalities of Peru and Ecuador along with NGO advisors from Amazon Watch and the Pachamama Alliance, with the hope that the circle will grow. "Each of our nationalities has a life plan and vision for their people, for their territory," said Marlon Vargas, President of CONFENAIE. "The Achuar have Sacre, the Sapara have Kamukui, the Shuar have Tzapapentza. Our Wampi, Huitoto, Awajún relatives from Peru have the same. For us, the Amazon Sacred Headwaters initiative is an umbrella that encompasses all of our unique proposals as individual nations and finds the commonality to present a united front against the pressures on our lands and create and construct a united vision. It is a process, not a project." 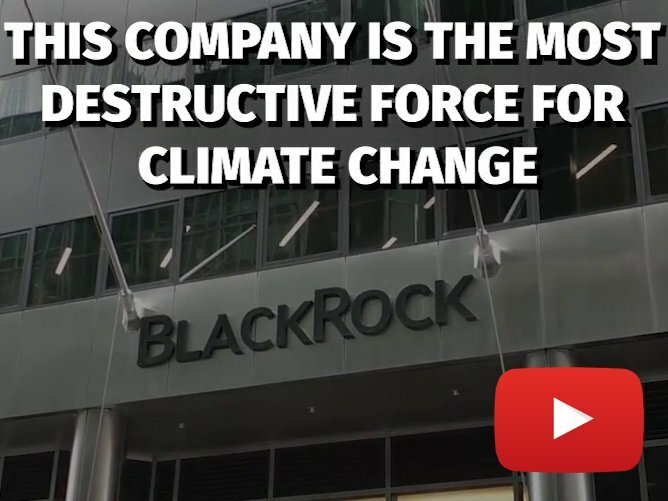 The Amazon Sacred Headwaters will also link on-the-ground work with larger advocacy efforts to reduce consumption of crude sourced from the Amazon, particularly focusing on the state of California, which is the largest purchaser of Ecuador's oil, and financial institutions like BlackRock and JPMorgan Chase that are bankrolling Amazon destruction. Inherently, it must involve tackling issues of just transition for a country like Ecuador – a net oil exporter and OPEC member – to move to a post-petroleum economy. "We know we can't fight these battles in isolation, going after one company or one oil concession at a time. We need to get at the root causes of these problems that threaten us. 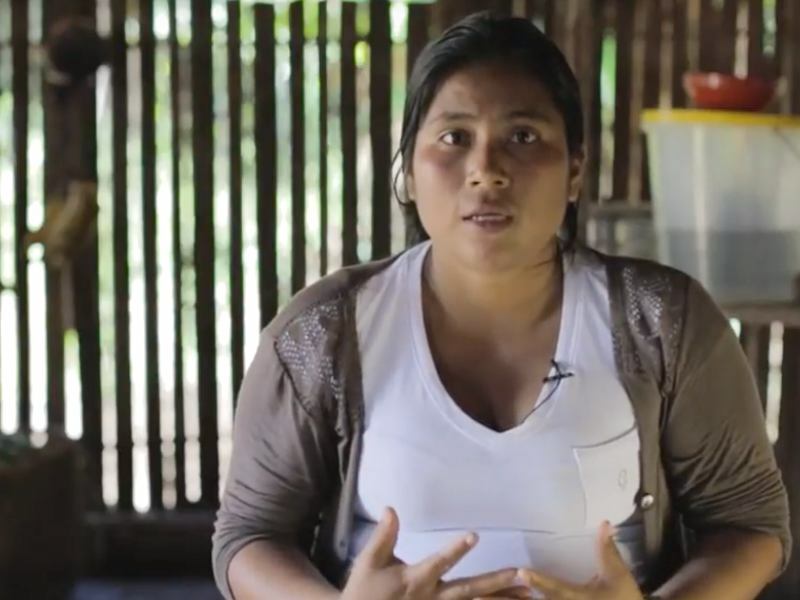 We need to work across borders and these false boundaries that governments, companies, and outsiders have created," explained Wrays Perez, a Wampis leader from Peru. "These are artificial barriers that keep us divided. We need to return to the original vision of our ancestors and our practices of traditional territorial management and governance that corresponds to ecological/natural boundaries. We live downstream in Peru – whatever happens upstream in the headwaters will affect us greatly. If the governments of Ecuador and Peru are getting together to plan how to extract oil together and share infrastructure along the border, it only makes sense for us to be organizing to present our own transborder vision for protection of our forests." 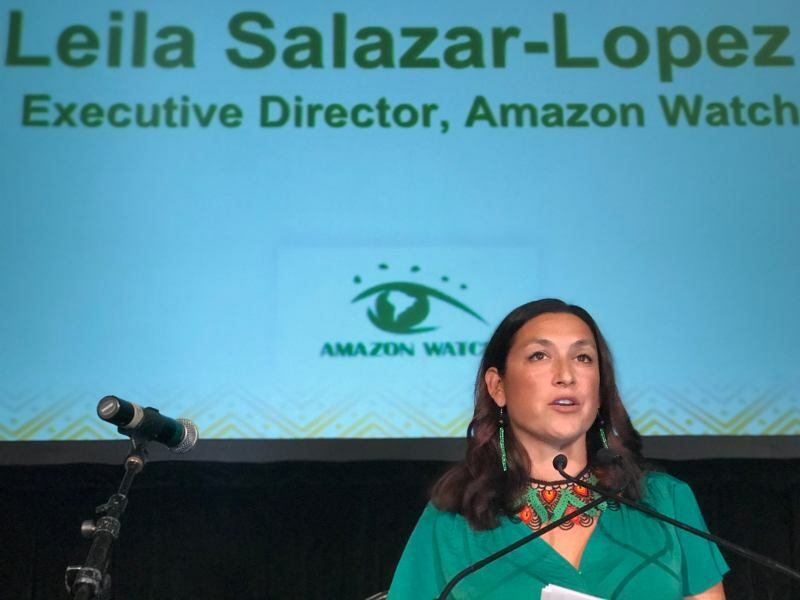 Amazon Watch has been working in this region for close to twenty years, standing side-by-side with our indigenous allies to fight oil companies, pipeline construction, mining concessions, and other unsustainable government development plans that trample on indigenous rights and territories. 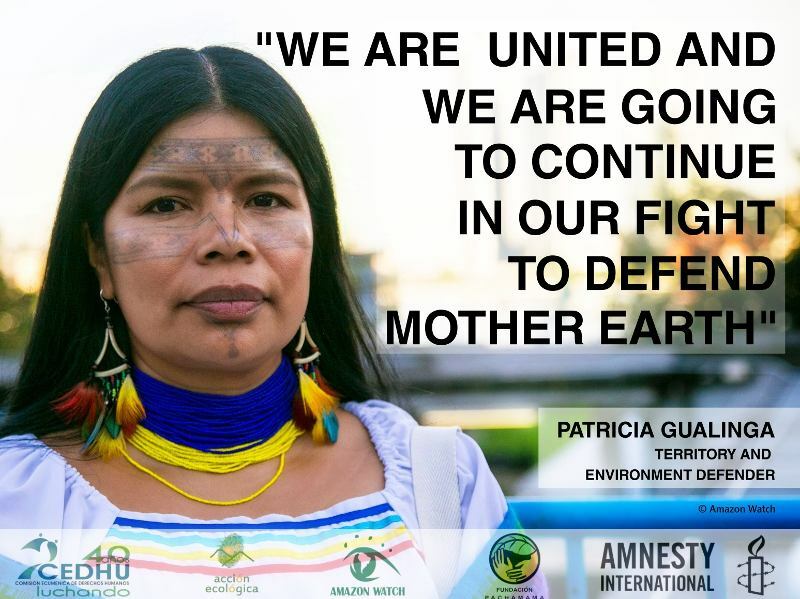 What began as a vision of our long-term allies is now moving forward, and we are proud to be part of an initiative along with other NGO allies like the Pachamama Alliance, working to support and amplify indigenous solutions to forest protection and territorial management, which have proven to be the most effective. 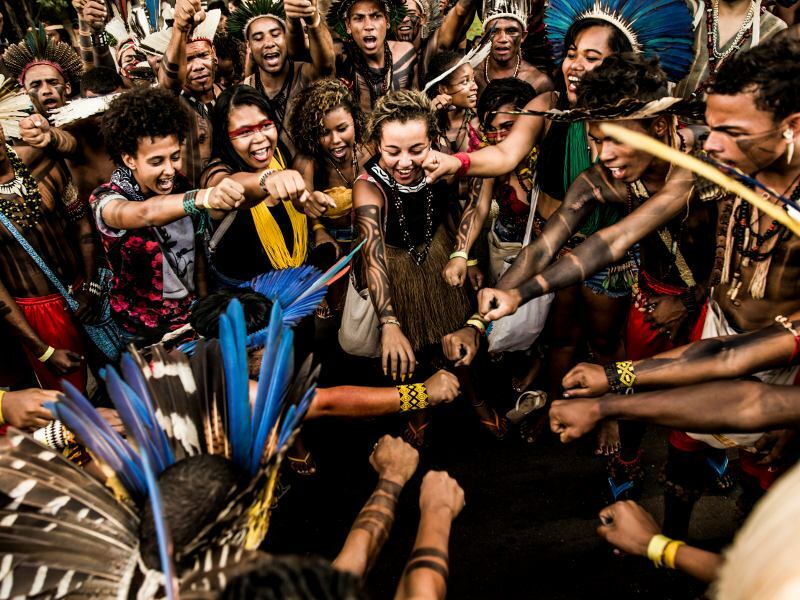 We are honored to join this process to build an alliance working towards the creation of a regional development plan free from industrial extraction to permanently protect the Amazon Sacred Headwaters and the mosaic of indigenous territories that encompass the region.